There’s so much meat and we had so much fun trying to dip various meat into different sauces and try the colision of flavours and taste. What’s summer without a barbecue? Share a Brotzeit Grillplatte (Brotzeit Barbecue Platter, platter for 3 at $25/pax, platter for 6 at $20/pax) and indulge in succulent grilled pork fillets with a smooth sundried tomato garlic butter, classic Thüringer snail sausages, juicy bacon strips, tender chicken fillets and a pair of minced beef and pork skewers. We loved this dish! Try slathering butter on the crunchy toast before you dunk it in the sauce and let it soak! 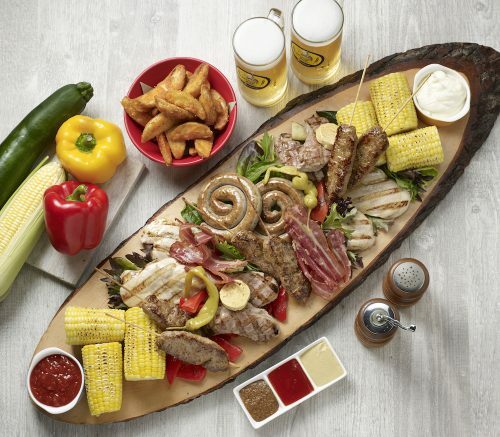 Served with a side of grilled corn, this ensemble of meat also comes with a choice of fries or potato wedges and two sauces ‒ garlic mayo and a spicy dip for that extra punch. Choosing the healthy option doesn’t mean you hae to compromize on taste! These salads are totally delectable and crunchy. Balance your meal with salads from the Brotzeit FIT selection at only $15 with the purchase of any Summer Menu Main Course. Choose from the Gegriller Ziegenkäse Salat mit Beeren (Grilled Goat Cheese Salad with Berries, U.P. 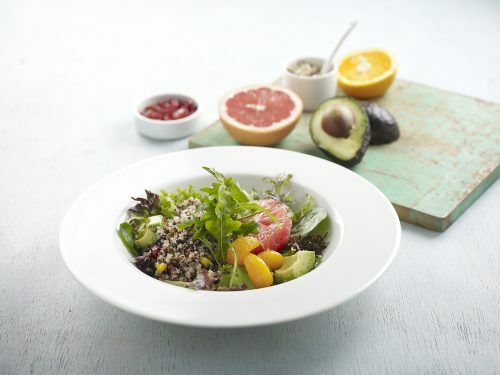 $21), Quinoasalat mit Grapefruit und Avocado (Quinoa Salad with Grapefruit & Avocado, U.P. 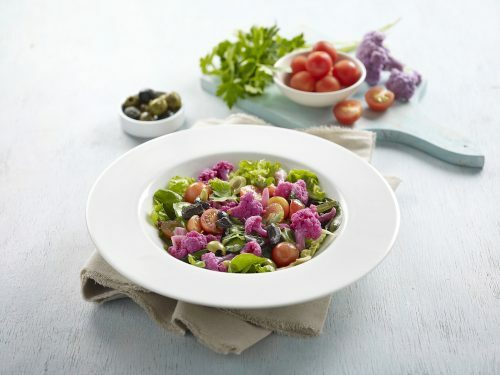 $20) or Violeter Blumenkohlsalat (Purple Cauliflower Salad, U.P. $19). 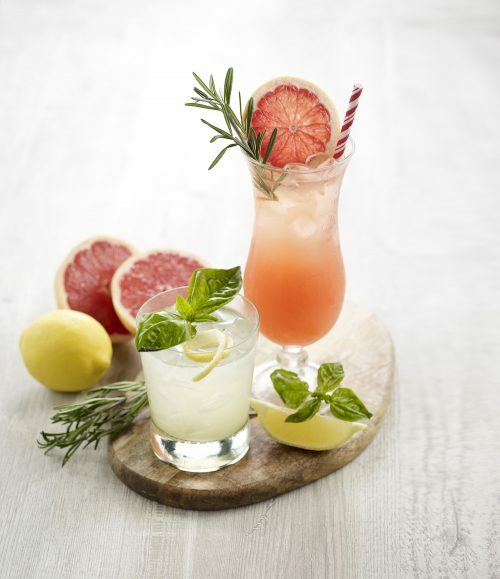 Beat the heat with Brotzeit’s refreshing cocktails, such as the Basil & Gin Cooler ($16), a delightfully fresh summer spritzer, or the Blushing Summer ($15), a mix of tangy grapefruit juice, vodka and honey. 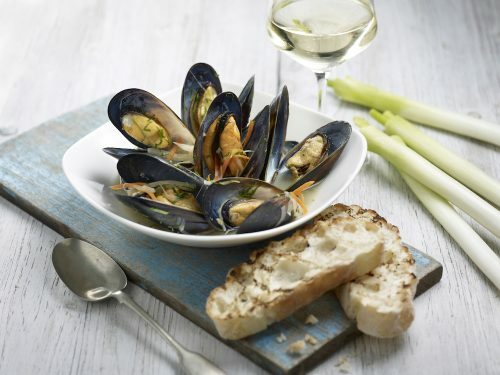 Looking for a non-boozy option? Opt for the Lemongrass Refresher ($8), featuring an aromatic blend of lemongrass, orange peel and lemon peel. Don’t be fooled by this refreshing drink, have one too many and you will end up blabbering nonsense like out editor during the tasting session! To end your meal on a sweet note, get a bite of the Gouda Käse Kuchan (Gouda Cheese Cake Brûlée, $10), a homemade fluffy cheesecake served with raspberries, mixed nuts oat cookie and smooth vanilla sauce. 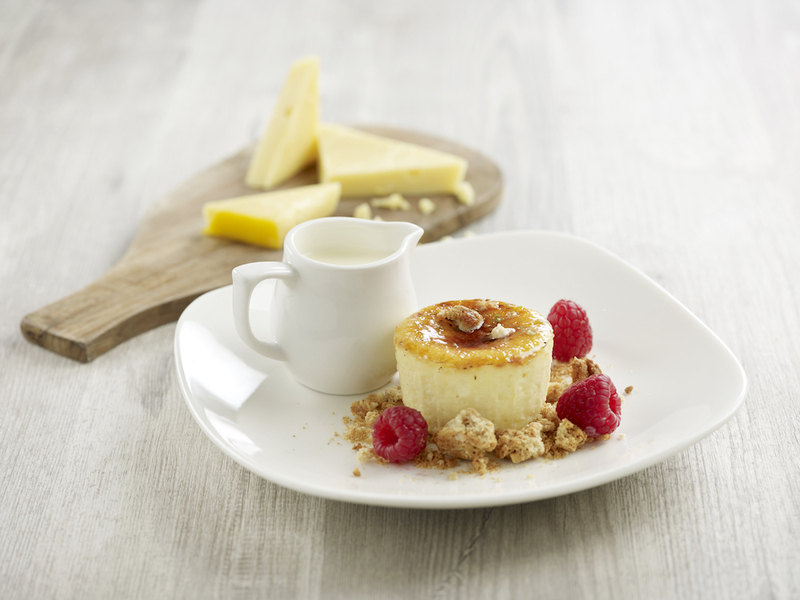 Even as a cheese lover, this “small” cheese cake brulee can fill you up! Share it with someone and don’t be selfish, you can’t finish it.